Now a guaranteed way to save thousands of dollars off the drive-away price of your new BMW. As seen in the Financial Review, Woman's Day, The Age and on Today Tonight! How to save up to 22% off the retail price of a NEW BMW and get it delivered to your door... without haggling with pushy salesmen at the car dealership! Find out how much you can save on a new BMW! *To approved purchasers only. Based on initial finance amount of manufacturer RRP plus on-road costs less estimated discount on a 5 year payment schedule with 30% residual. Assuming an interest rate of 6.99%. You could be driving away in a NEW BMW today! What are you waiting for? Since 1999, our company - Private Fleet has helped more than 25,000 Australians save money on new and demo vehicles (whether passenger vehicles like hatchbacks and SUVs to light commercials such as utes and vans) using the power of Fleet Buying. Quite simply, we buy more than 2,000 cars a year. And because of the volume of sales, dealers offer car buyers who use our free service, special discounts they simply can't (and won't) offer private car buyers who buy one car every five years. Between July 2017 through to June 2018, using our Fleet Buying technique, we saved private car buyers a total of approx $11 million dollars. This was the total on around 2,800 cars meaning an average saving of around $3,900 over the 2018 Financial Year. Now, in 2019, you can do the same on the pricing of the following BMW models. A sale through Private Fleet costs the car dealer less money, because they don't have to pay advertising costs, commissions and physical overheads. That means they can afford lower margins, which means they can afford to offer you better prices than they can on an ordinary car sale including runout and clearance event deals. When you place your order through Privatefleet.com.au, we give several dealers the opportunity to quote. And the BMW dealers know in order to win the tenders they have to give the very best prices. (And that price includes dropping the car off at your door with a full tank of fuel.) Because we simply give the business to the dealer that offers you the best deal on the car you want. We do all the work for you... We can organise a test-drive to compare models, get you a quote, negotiate the driveaway pricing (whether paying cash or lease) and extras and handle all the paperwork - but you don't pay a cent for the service.The dealer who gives you the best price pays us a referral fee. Customer reviews? Here's what a few of our past clients have to say about how the Private Fleet service worked for them. "Private Fleet made our recent purchase the easiest deal ever experienced in buying a car. Everything was transparent and pleasant - no dealer nonsense (as was experienced in parallel negotiations that promptly got dropped)! I have no hesitation in recommending them and would not hesitate to use them again (and again). In fact it's the 3rd time I've had dealings with them now. Most importantly, the purchase price was better than I could have done myself - it was declined by another dealer." "Private Fleet was recommended by a friend and were brilliant. They saved me $2000 on the price I had been quoted by my local car dealer for the same make/model. I did not have to worry about arranging my car registration. That was done for me even though the car came from interstate. Private Fleet have the contacts and negotiating clout to get the best deal. They were also prompt in reacting to my original request, plus kept in contact with me during the negotiating process. Using them took the angst out of buying a new car. I would definitely use them again." "This was my first experience with using such a service. Overall, Private Fleet offered excellent service. They organised a much better deal than I could have achieved, without the hassle. The new car was delivered to my home, and my trade-in car was picked up and taken away." "Seamless sale with no lengthy meeting with pushy sales person trying to sell you every ad on known to man. Shannon was great. I invested about 20 mins of my time in about 5 phone calls. So easy. I'm a mum with 2 young kids and can think of anything worse than dragging the kids along to car yards and staying for hours. If you know what car you want this is the best service possible." "I found my sales assistant to be very helpful, businesslike and a good communicator. I was fully informed of progress at all stages. Progress was quick and I was driving my new car within a few days of starting the process. I saved $274 on the already-good deal on offer from the dealer plus I was able to get two accessories in the deal for no extra charge. The paperwork was uncomplicated and it was simple to compete it and to submit it." You can get a quote with no obligation to buy - that means you don t have to accept the offer we get for you. You're still free to shop around the dealerships for prices and finance deals on your own. In short, we buy thousands of cars every year. This buying power and great relationships with dealers (some have worked with us for close to 20 years) gives us the capacity to negotiate far better pricing than an individual doing it themselves. Our unique tender process creates a competitive environment where multiple fleet managers (not retail salespeople) fight it out to win your business. If that’s not all, we’ve got a Price Match Guarantee to set your mind at ease. What’s The Process If I Engage? The first step is a quick phone call to discuss your requirements…. This generally takes around 10 minutes or so depending on the complexity (note: buying a car is always more complicated than you first think… especially if you do the right thing and consider all the factors). Once we’ve gotten a clear idea of options, we’ll then put the details out to tender amongst our dealers. As the dealers come back with prices, delivery dates and other information, we’ll let you know. Once we’ve completed that process, if you’d like to proceed, we’ll then order the car on your behalf. Am I Obliged To Go Ahead With You? Absolutely not. There’s no cost, nor obligation to get in touch with questions or even once a tender process has been kicked off. However, it’s important that we only engage our dealers when the business is truly there to be won (that’s one of the reasons they give us such good pricing) so if you’re not planning on buying, have already bought or are just trying to get a price to use for your own negotiations, then we may respectfully decline to source pricing. If, however, you are prepared to go ahead if we can find the car, save you serious money and have it delivered to your door, then we look forward to hearing from you! I’m Still Unsure - It’s Such A Big Purchase! We understand. Having sourced cars for over 45,000 Australians over nearly 20 years, we recognise what a big deal this is. That’s why we’re about putting the power back to you, the buyer. We’ve got our process (pricing & delivery) fine-tuned for simplicity, efficiency and exceptional customer service. Above all we’re human beings, always available for a chat and listen to any concerns so, if you’re still not sure whether we can indeed help, just pick up the phone and give us a call – 1300 303 181. Claim your FREE no obligation quote now! We'll be in touch very soon to let you know how much you can save on the on-road price of your new BMW. And then you can review the offer, decide if the price is right and whether you want to follow through on the purchase. If not, no hard feelings. 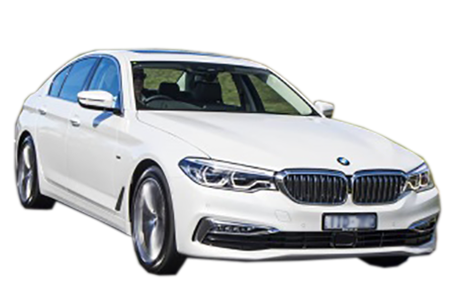 Privatefleet.com.au is not in any way connected with, nor endorsed by BMW Australia but is powered by Private Fleet, Lvl 2, 845 Pacific Hwy, Chatswood NSW 2067. All Enquiries 1300 303 181, Monday-Friday 8am-7pm. Private Fleet has operated since 1999 and trades using ABN 70 080 056 408 and full dealer licence MD19913. We can help for any BMW model including the BMW 1-series, BMW 2-series, BMW 3-series, BMW 4-series, BMW 5-series, BMW 6-series, BMW 7-series, BMW X-series, BMW M-series and BMW i-series.